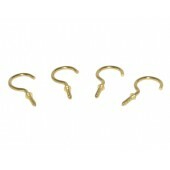 1'' Cup Hooks Sold in lots of 100. As low as $3.70 per lot. ..
1-1/2'' Cup HookSold in lots of 100. As low as $6.20 per lot. ..
1/2'' Cup Hook Sold in lots of 100. As low as $2.00 per lot. ..
21MM Brass Screw EyesSold in lots of 100. As low as $1.50 per lot. ..
21MM Zinc Screw EyesSold in lots of 100. As low as $1.50 per lot. ..
3/4'' Brass Screw EyeSold in lots of 100. As low as $1.50 per lot. ..
3/4'' Cup HooksSold in lots of 100. As low as $2.60 per lot. ..
3/4'' Zinc Screw Eyes Sold in lots of 100. As low as $1.50 per lot. 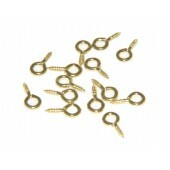 ..
5/16'' Brass Screw Eyes Sold in lots of 100. As low as $1.00 per lot. ..
5/8'' Brass Screw EyeSold in lots of 100. As low as $1.45 per lot. ..
5/8'' Cup HooksSold in lots of 100. As low as $2.20 per lot. ..
5/8'' Zinc Screw EyesSold in lots of 100. As low as $1.45 per lot. ..
7/16'' Brass Screw EyesSold in lots of 100. As low as $1.15 per lot. 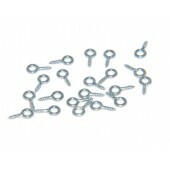 ..
7/16'' Zinc Screw EyesSold in lots of 100. As low as $1.15 per lot. ..
7/8'' Cup Hooks Sold in lots of 100. As low as $3.40 per lot. ..